April 11-12, 2017 in Almaty was the VI International Student Forum “Green Bridge Through Generations”, organized by the Al-Farabi Kazakh National University. The forum aims to involve more students and young scientists in the promotion of the green economy, resource and energy conservation for sustainable development. 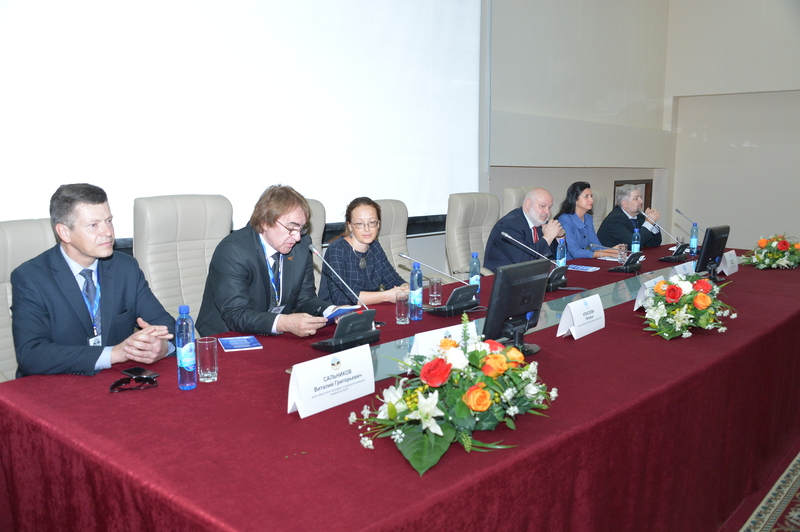 The United Nations Department of Public Information, the UNESCO Cluster Office in Almaty, ESCAP, UNEP, the Kazakhstan National Committee of the UNESCO Man and the Biosphere Program (MAB), the National Committee for World Heritage, KNU participated in this event. More than 300 participants from 30 universities of Kazakhstan, Kyrgyzstan, the Russian Federation participated in the Forum: NIU BelSU, State University “Dubna”, S. Seifullin Kazakh Agrotechnical University, Nazarbayev Intellectual School of Atyrau, etc. Young researchers presented more than 100 reports on various aspects of the “green” economy, ecological culture and sustainable development. Welcoming remarks and reports were presented by Mr. Vlastimil Samek, Mr. Nikolay Pomoschnikov, Ms. Kristine Tovmasyan, Mr. Dmitry Voyakin, Ms. Natalia Alekseeva and Ms. Elina Maltseva, who presented the participants with a global vision of creating an inclusive A “green” society of equal opportunities by using the transformative power of education, science, culture and the media.